Diana Kay Coats passed away October 4, 2018 at the age of 71 after a long, courageous battle with cancer. She was preceded in death by her parents, Leon and Gladys Coats. Diana is survived by her sister, Wendy (Bob) Sanders; niece, Kami Sanders; and nephew, Corey Sanders. If desired, memorial contributions can be made to Eaton Community Palliative Care. 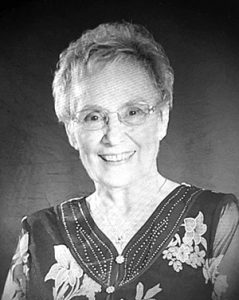 Mary Jane Backofen Howe (Jane), 82, passed away peacefully on Tuesday, October 9, 2018, with loved ones by her side. She was born January 29, 1936, in Brookfield Township, to Shorty and Dorothy (Williams) Wolf. She married Maynard (Freck) Backofen in February of 1953, and raised four children with him. After Freck’s passing, she reconnected with and married George Howe. She worked various jobs and retired from the Wesley Credit Union in 1997 as the CEO. She was very involved in her faith community, the Peace Lutheran Church in Charlotte. Jane truly lived life to the fullest through simple pleasures; traveling, visiting with friends and family, bowling, and crocheting. Jane had an uncanny ability to reach people in a deep and positive way and an unobtrusive way of sharing her remarkable wisdom. Jane is survived by her children, Jack (Susan) Backofen, Maynard (Sue) Backofen, Jodi Backofen and Sally (Annie Lange) Backofen; sisters, Joan (Duane) Royston, Judy (Bud) Faynor; grandchildren, Maynard (Andy) Backofen, Jessica Backofen, Alicia Backofen and Jason (Taylor) Backofen; and a multitude of stepchildren, step-grandchildren, great-grandchildren, great great-grandchildren, nieces, nephews and cousins whom she loved dearly. Family, friends, and others whose lives Jane touched are invited to Pray Funeral Home in Charlotte to celebrate her life. Visitation is Sunday, October 14, 2018, from 5 to 7 p.m., and funeral services are Monday, October 15 at 3 p.m. with Pastor Tom Ott officiating. Interment will follow at Perry Cemetery. If desired, the family suggests memorial contributions to Eaton Community Palliative Care or Peace Lutheran Church in Charlotte. Friends and family are encouraged to share memories of Jane on her tribute page at PrayFuneral.com. 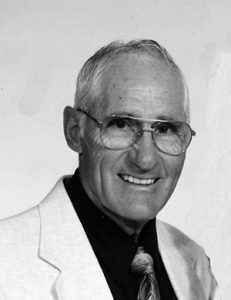 Robert William Johncock, 88, of Olivet, passed away Tuesday, October 9, 2018. He was born January 15, 1930, in Orangeville Twp., Barry County, Mich., the son of Chester and Mabel Johncock. Robert went on to serve his country in the United States Navy during the Korean Conflict. On December 31, 1952, he married June Francis Kunkel in Charlotte. Robert spent the majority of his life working as a farmer and sheep shearer in and around the Olivet area. He had a passion for people and enjoyed helping others with their remodeling and construction projects. After his retirement Robert enjoyed spending time at his home in Frostproof, Fla. Robert was a lifelong Lutheran and belonged to congregations in Michigan. Robert is survived by his wife, June; children, Susan (David) Moody of Olivet, Steve (Diane) Johncock of Bellevue; grandchildren, Elizabeth Moody, Jonathan (Michaela) Moody, Nathan Moody, Joseph Moody, Nehemiah Moody; great-granddaughter, Isabelle Rose Moody. He was preceded in death by his parents and sister, Ethyl Simons. A memorial service will be held on Thursday, October 18, 2018, at 11 a.m. at First Lutheran Church, 550 E. Shepherd Street in Charlotte, with Pastor Jim Eggert officiating. The family will receive friends on Wednesday, October 17, 2018, from 4 to 7 p.m. at Burkhead-Green-Kilgo Funeral Home and one hour prior to the service at the church on Thursday. To view Robert’s obituary online or to leave a condolence for the family, please visit burkhead-greenfuneralhome.com. Gerald L. Greenfield, 83, of Bellevue, passed away peacefully Tuesday, October 2, 2018 surrounded by his loving family. He was born in Charlotte on April 23, 1935, the son of Ralph and Ethelyn (Cook) Greenfield. Gerald graduated from Bellevue High School. He married Lea H. Beckner on October 16, 1954. 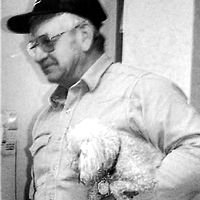 Gerald was on the Bellevue Fire Department for 55 years and was a member of the Bellevue Conservation Club. Gerald is survived by his loving wife, Lea of 63 years; children, Victoria (Richard) Glidden, Cathy (Larry) Smith, Todd Greenfield; five grandchildren; 10 great-grandchildren; one brother; and six sisters. He was preceded in death by his parents and sister, Gladys. In accordance with his wishes, cremation has taken place. A celebration of life will be held at the Bellevue Conservation Club, 8484 Greenfield Highway in Bellevue, on Sunday, October 14, 2018, from 3 to 7 p.m. The family requests memorial contributions be directed to the Bellevue Fire Department, 115 E. Jackson St., Bellevue, MI 49021. Friends and family may send condolences or share a memory at kempffuneralhome.com. Hunter Reese Robirds, a very kind and intelligent 2017 graduate of Potterville High School, died unexpectedly on Saturday, October 7, 2018 in Charlotte. Hunter, 19, of Charlotte, was born December 22, 1998 in Lansing, the son of John Robirds and Barbara Merritt. He played trumpet in the high school band and was a National Honor Society member. Throughout his life, he enjoyed family trips up north to his grandparents’ home each summer with his cousins, Taylor, Morgan, Trevor, and Payton, and he had a passion for videogames. He worked at Wendy’s each summer, where he made many close friends. Following high school, he attended Central Michigan, where he was currently studying engineering and working in the school cafeteria. Many will remember Hunter’s gentle nature and sarcastic sense of humor, his love for animals, and his devotion to his family. Hunter is survived by his father, John Robirds; mother and stepfather, Barbara and Breck Searle; stepbrother, Dylan Searle; grandparents, Stanley and Mary Merritt, Bob and Beverly Searle, and Joyce Russell; and many aunts, uncles, and cousins. He was predeceased by his grandfather, Leaman Robirds; and cousin, Kyle Ducharme. Funeral services were held Thursday, October 11, 2018 at Pray Funeral Home in Charlotte, with Rev. Jim Codde officiating. Friends and family are encouraged to share memories of Hunter on his tribute page at PrayFuneral.com. 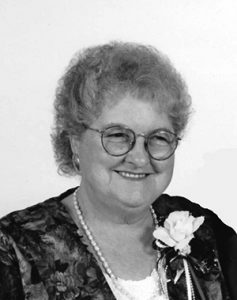 Catherine Jardot, 82, of Eaton Rapids, died peacefully at home on Saturday, October 6, 2018. Catherine was born July 16, 1936, in Portland, the daughter of Edward and Neita (Alldaffer) Hillis. She graduated high school before working several jobs, including soda jerk at the local soda fountain, switchboard operator at Bell Telephone, and the State of Michigan. She eventually settled into family with her husband Alfred to raise their five children. Catherine enjoyed crocheting, reading romance novels, and canning fruit and vegetables off the family property. Many will remember Catherine’s spirit of generosity and her willingness to give to others in need. Catherine is survived by her children, Monty Parish, son-in-law, Rick Price, Lori Parish, Patty (Doug) Lifford, and Mitch (Debbie) Jardot; grandchildren, Sarah Price, Danielle Parish, Kim Price, Rebecca Lifford, Emily Lifford, Jessica Smith, Marvin Steward, Mia Jardot, and Tyler Jardot; seven great-grandchildren; and her siblings, Jeane Burt and Johnny Hillis. Catherine was predeceased by her husband, Alfred Jardot, Jr.; her parents; daughter, Jane (Parish) Price; grandchildren, Brian LaValley, Jr., and Rae-Lynn; and sister, Grace Wood. Friends are encouraged to support Catherine’s family at visitation and service. Memorial services are Saturday, October 13, at 11 a.m. at Charlotte Assembly of God, with Pastor Shane Bryant officiating. Visitation is one hour prior to service at the church. If desired, the family suggests memorial contributions to Eaton Community Palliative Care. Friends and family are encouraged to share memories of Catherine on her tribute page at PrayFuneral.com. 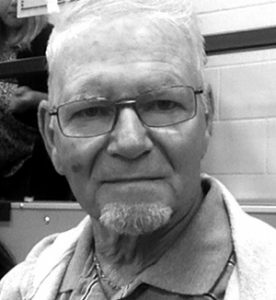 Larry Douglas Sanders, died unexpectedly October 8, 2018. Larry, 67, of Charlotte was born December 24, 1950 in Mt. Pleasant to Shirley (Sheldon) Fowler. He retired from the City of Charlotte as an equipment operator. 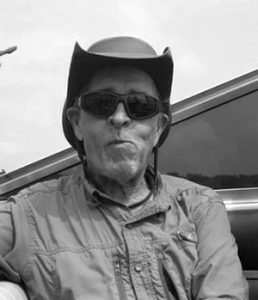 Outdoor activities were some of his favorite pastimes, including fishing (anywhere there was water), motorcycling, and tinkering on his motorcycle and boats. Cooking for his family made Larry very happy, especially on Thanksgiving using his steam pot to make delicious seafood. Larry had a sharp wit, always making smart comments, but was also a very quiet, gentle, and helpful man. He loved spending time with all of his grandkids. He made them laugh and entertained them all with jokes and tricks. Larry is survived by his children, Christy (Dave) Murphy, Shelby (Ben) Bean, and Jesse Sanders; grandchildren, Trip and Colin Murphy, Sarah, Taylor-Jade, Carrissa, and Benedict Bean Jr., and Addy Sanders, and Ava Austin-Swan; mother, Shirley Fowler; siblings, Gerald (Sherilyn) Sanders, and Jane Jensen. Friends are encouraged to support Larry’s family on Monday, October 15, from 10 to 11 a.m. for visitation and 11 a.m. for a memorial service. If desired, the family suggests memorial contributions to Cast for Kids. Friends and family are encouraged to share memories of Larry on his tribute page at PrayFuneral.com. Robert Karl Joppie, 89, of Charlotte, died peacefully on Monday, October 1, 2018. Robert was born February 3, 1929, the son of Henry and Dorthea Joppie in Sunfield Township. He graduated from Charlotte High School in 1946 and started a career at Fisher Body Division of General Motors as a millwright, retiring after 43 years. Robert married the love of his life, Frances Eleanor Gould, on October 21, 1950. Robert was an incredible father to his three children. He had a huge appreciation of nature and time spent in the outdoors. He enjoyed a happy retirement filled with various hobbies, including hunting, fishing, snowmobiling, camping and meticulous lawn care and gardening. He also enjoyed watching Detroit Tigers Baseball. Robert and Frances enjoyed years of travel throughout the United States. Robert spent a lot of his time helping his family and others, along with being a generous blood donor and a longtime supporter of Paralyzed Veterans and the American Lung Association. Robert was a phenomenal grandpa and spent many years attending his granddaughters’ special event and activities. He lived a very full life doing what he enjoyed, around the people he loved most and was always giving of himself. Robert is survived by his son, James (Delsa) Joppie; daughter, Angela (Greg) Parker; daughter-in-law, Diana Joppie; granddaughters, Lauren (Brian) St. John and Grace (Evan) Boehmer; great-grandchildren, Everett and Faith St. John, and soon to be Belle Boehmer; sister, Phyllis (Emery) Fenstemaker; and his special friend and companion, sister-in-law, Evelyn Joppie. He was predeceased by his wife, Frances; son, John Joppie; brothers, Russell Joppie and Earl Joppie; and sister, Maxine Harag. Friends are encouraged to support Robert’s family at visitation and funeral services. Funeral services were held at 11 a.m. on Friday, October 5, 2018 at Pray Funeral Home in Charlotte, with Pastor Charles Jenson officiating. If desired, the family suggests memorial contributions to the Alzheimer’s Association, Michigan Great Lakes Chapter. Friends and family are encouraged to share memories of Robert on his tribute page at PrayFuneral.com. Eugene Arlo McGarey, of Charlotte, a quiet man with a passion for fishing, passed away on September 28, 2018 in Lansing at the age of 82. He was born on August 25, 1936 to Vernon and Ruth (Keiser) McGarey in Petoskey. On June 9, 1962 he married Ruth Andrus in Angola, Ind. Eugene worked at various auto assembly plants in Lansing, for General Motors until his retirement. After his retirement he joined the produce department at the Charlotte Meijer store where he worked for another 12 years until his second retirement. Eugene was a quiet man, until he spoke about things for which he had a passion. These topics included fishing, firearms and family. Like so many other fisherman, he enjoyed trips to Canada, however, his trips always included his wife Ruth, or family. On the topic of firearms, he was a model member of the NRA, developing a deep knowledge of guns of all kinds. He loved the outdoors, not only for fishing and hunting, but also spending time in his personal orchard raising apples and pears that grew near his large vegetable garden. Eugene was most proud of his family. His grandchildren softened his hard exterior. Eugene’s close relationship with each one of them had a strong influence on his grandchildren, helping them grow into successful adults. Above all, Eugene would tell you that his best accomplishment was being married to his late wife, Ruth for 53 years before she passed away in 2014. Eugene is survived by his daughter, Susan Cross; son, Michael McGarey; five grandchildren, Megan McGarey, Jamie Cross, Marissa McGarey, Jordan Cross, and Justin Cross; two sisters, Doris Scott, and Linda Schwartz; and two brothers, Gordon McGarey, and Gary Auvinen. Visitation was held Friday, October 5, 2018, from 6 to 8 p.m. at Pray Funeral Home in Charlotte. Funeral services are Saturday, October 6, 2018, at 1 p.m. at Pray Funeral Home, with Rev. Duane Royston, officiating. If desired, the family suggests memorials to Michigan Pit Bull Rescue. Family and friends are encouraged to share remembrances and condolences online on Eugene’s tribute page at prayfuneral.com. Ronald “Ron” James Dedafoe, of Onondaga, passed away unexpectedly, September 16, 2018 at the age of 76. He was born in Lansing, November 22, 1941, the son of Joseph and Pauline (Hilliard) Dedafoe. He worked for the State of Michigan for over 40 years, retiring from the DNR Fisheries Division in 2002. He and his wife, Nancy traveled around the country for several years in their motor home. Ron was a member of the All Color Tractor Club and liked putting chain saws and tractors together. He made a name for himself, “Flipper,” when he tipped his tractor over into the river. Ron was an avid hunter, enjoyed fishing and was a push over for dogs of various breeds. Most of all, he was a loving husband, father and uncle to his family. Ron is survived by his wife of 56 years, Nancy Sue (Strouse) Dedafoe; daughters, Dawn Dedafoe of Onondaga, Amy Dedafoe of Georgia; sister, Gertrude Switzer of Holt; several nieces and nephews. He was preceded in death by his parents; brothers, Kenneth, Joseph and Carl Dedafoe; sister, Karen Kemper; grand dog, Charlie. Those desiring may make memorial contributions to the Capital Area Humane Society, 7095 W. Grand River Rd. Lansing, MI 48906. Arrangements were entrusted to the Mills Funeral Home, Shelly-Odell Chapel in Eaton Rapids. Please visit millsfuneral.com to place online condolences or to sign the guest register.